A few years back [James] built an utterly amazing set of Wolverine replica claws. They are held together by a bar that laces between his fingers so that when he’s gripping it you don’t see anything but the claws. Add to that the tail design which makes it look like they’re actually coming out of his skin and he’s made an amazing replica. But they’re also rather utilitarian as you can see in the demo/how-it-was-done video where he spears hay bails as they’re thrown at him from off camera. Machine shop fans are going to love learning how these were made. More recently he decided to update the project after seeing our own Thor’s Hammer offering. He got down to business by salvaging a huge transformer from an old oil furnace. He has no idea what kind of voltage this thing puts out, but that doesn’t stop him from wiring it up to the pair of claws and letting the sparks fly. He even creates a Jacob’s Ladder effect by placing the claws at a narrow angle to each other. 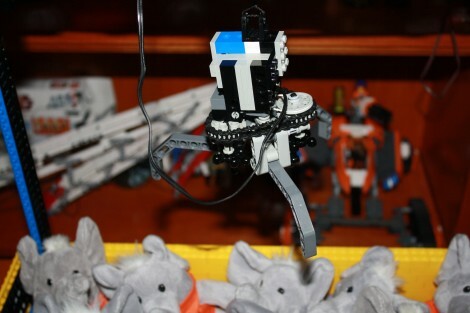 [Alexey] wrote in to share a mechanical claw (Google Translation) he has been hard at work on for quite some time. While a lot of people will turn to some sort of 3D plastic printer such as the MakerBot if they need plastic parts built, [Alexey] didn’t have access to one. Instead, he carefully crafted the entire mechanism from polycaprolactone, or as it’s more commonly known, Shapelock. Using a wide range of tools from hair dryers and knives to lighting fixtures, he manually sculpted the claw and its control arm out of plastic, piece by piece. We are particularly impressed by the gearing he was able to cut from the plastic, which can be finicky at times. 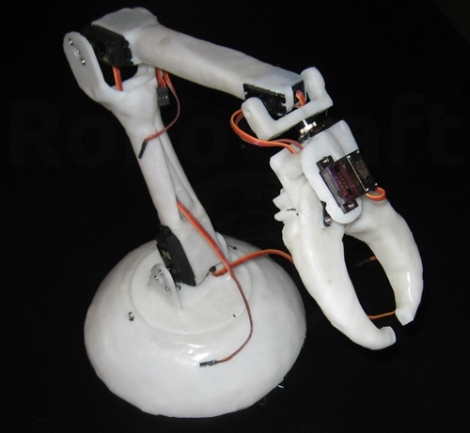 As you can see in the video below, The claw mimics each movement he makes with the control arm via a handful of Arduino-driven servos. Everything seems to work quite well, and despite the rough translation by Google, we think this is a great project. If you are looking to do something similar yourself, he has plenty of pictures on his site, which should give you a pretty good idea as to how things were put together. 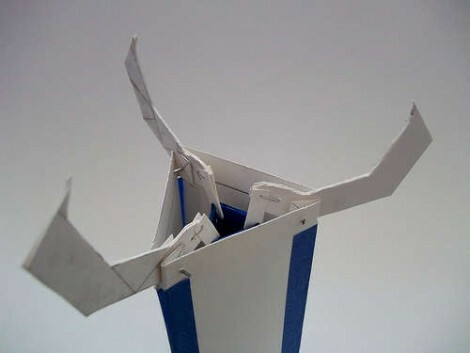 Grab some stiff paper and get to work building your own paper claw. [Dombeef] posted the instructions to recreate the claw above because he was unsatisfied with his previous design which was flimsy and unable to pick up just about anything. 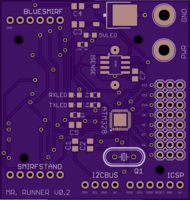 This version is a bit larger and it internalizes all of the parts. Being paper craft, you don’t need much in the way of materials or tools. A push-pin makes holes for the paperclip and wire which serve as the pivot points. Glue and some tape hold the rest of assembly together. You can see a video of the final product after the break. A shaft at the center closes the claw when pulled, and opens it when pushed to opposite way. This makes it perfect for that home-made crane game (or was that a claw game? )… as long as you’re not trying to pick up anything too heavy.